Arundhati Roy on Returning Her Award to India’s Top Literary Institution. This was published in Jacobin Magazine. “Although I do not believe that awards are a measure of the work we do, I would like to add the National Award for the Best Screenplay that I won in 1989 to the growing pile of returned awards. Also, I want to make it clear that I am not returning this award because I am ‘shocked’ by what is being called the ‘growing intolerance’ being fostered by the present government. First of all, ‘intolerance’ is the wrong word to use for the lynching, shooting, burning, and mass murder of fellow human beings. Second, we had plenty of advance notice of what lay in store for us — so I cannot claim to be shocked by what has happened after this government was enthusiastically voted into office with an overwhelming majority*. Third, these horrific murders are only a symptom of a deeper malaise. Life is hell for the living too. Whole populations — millions of Dalits, Adivasis, Muslims, and Christians — are being forced to live in terror, unsure of when and from where the assault will come. Today we live in a country in which, when the thugs and apparatchiks of the New Order talk of ‘illegal slaughter’ they mean the imaginary cow that was killed — not the real man that was murdered. When they talk of taking ‘evidence for forensic examination’ from the scene of the crime, they mean the food in the fridge, not the body of the lynched man. We say we have ‘progressed’ — but when Dalits are butchered and their children burned alive, which writer today can freely say, like Babasaheb Ambedkar once did, that ‘To the Untouchables, Hinduism is a veritable chamber of horrors,’ without getting attacked, lynched, shot, or jailed? Which writer can write what Saadat Hassan Manto wrote in his ‘Letter to Uncle Sam’? It doesn’t matter whether we agree or disagree with what is being said. If we do not have the right to speak freely we will turn into a society that suffers from intellectual malnutrition, a nation of fools. Across the subcontinent it has become a race to the bottom — one that the New India has enthusiastically joined. Here too now, censorship has been outsourced to the mob. I am very pleased to have found (from somewhere way back in my past) a National Award that I can return, because it allows me to be a part of a political movement initiated by writers, filmmakers, and academics in this country who have risen up against a kind of ideological viciousness and an assault on our collective IQ that will tear us apart and bury us very deep if we do not stand up to it now. I believe what artists and intellectuals are doing right now is unprecedented and does not have a historical parallel. It is politics by other means. I am so proud to be part of it. And so ashamed of what is going on in this country today. B.R. 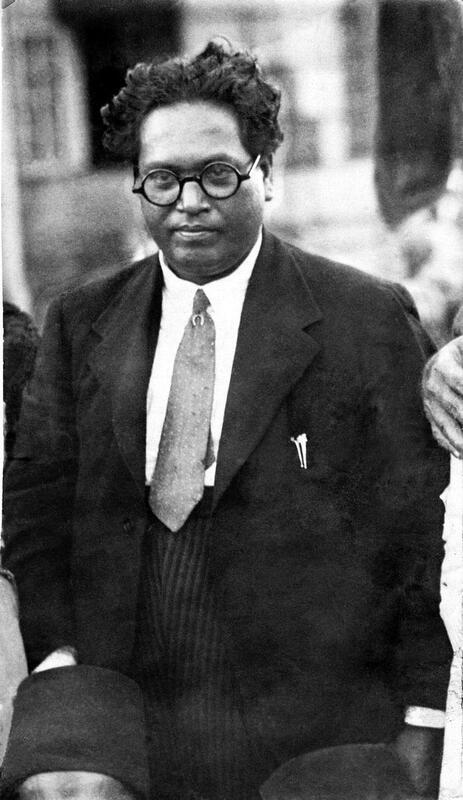 Ambedkar: Caste System As a Division of Labourers. The following is another excerpt from B.R. Ambedkar’s classic Annihilation of Caste (written in 1936, but still very relevant today). Ambedkar wrote the Annihilation of Caste for the 1936 meeting of a group of liberal Hindu caste-reformers, Jat-Pat Todak Mandal, in Lahore. After reviewing the speech, conference organizers revoked Ambedkar’s invitation. He then self-published 1,500 copies of the speech and it became a classic. “It is a pity that Caste even today has its defenders. The defences are many. It is defended on the ground that the Caste System is but another name for division of labour; and if division of labour is a necessary feature of every civilized society, then it is argued that there is nothing wrong in the Caste System. Now the first thing that is to be urged against this view is that the Caste System is not merely a division of labour. It is also a division of labourers. Civilized society undoubtedly needs division of labour. But in no civilized society is division of labour accompanied by this unnatural division of labourers into watertight compartments. The Caste System is not merely a division of labourers which is quite different from division of labour—it is a hierarchy in which the divisions of labourers are graded one above the other. In no other country is the division of labour accompanied by this gradation of labourers. There is also a third point of criticism against this view of the Caste System. This division of labour is not spontaneous, it is not based on natural aptitudes. Social and individual efficiency requires us to develop the capacity of an individual to the point of competency to choose and to make his own career. This principle is violated in the Caste System, in so far as it involves an attempt to appoint tasks to individuals in advance—selected not on the basis of trained original capacities, but on that of the social status of the parents. Looked at from another point of view, this stratification of occupations which is the result of the Caste System is positively pernicious. Industry is never static. It undergoes rapid and abrupt changes. With such changes, an individual must be free to change his occupation. Without such freedom to adjust himself to changing circumstances, it would be impossible for him to gain his livelihood. Now the Caste System will not allow Hindus to take to occupations where they are wanted, if they do not belong to them by heredity. If a Hindu is seen to starve rather than take to new occupations not assigned to his Caste, the reason is to be found in the Caste System. By not permitting readjustment of occupations, Caste becomes a direct cause of much of the unemployment we see in the country. As a form of division of labour, the Caste system suffers from another serious defect. The division of labour brought about by the Caste System is not a division based on choice. Individual sentiment, individual preference, has no place in it. It is based on the dogma of predestination. Considerations of social efficiency would compel us to recognize that the greatest evil in the industrial system is not so much poverty and the suffering that it involves, as the fact that so many persons have callings [occupations] which make no appeal to those who are engaged in them. Such callings constantly provoke one to aversion, ill will, and the desire to evade. There are many occupations in India which, on account of the fact that they are regarded as degraded by the Hindus, provoke those who are engaged in them to aversion. There is a constant desire to evade and escape from such occupations, which arises solely because of the blighting effect which they produce upon those who follow them, owing to the slight and stigma cast upon them by the Hindu religion. The following is an excerpt from B.R. 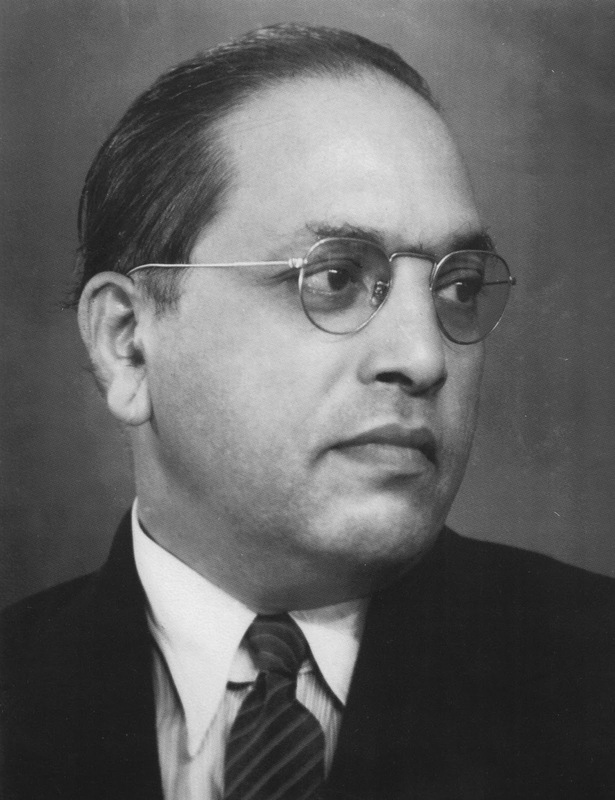 Ambedkar’s classic Annihilation of Caste (written in 1936, but still very relevant today). Ambedkar wrote the Annihilation of Caste for the 1936 meeting of a group of liberal Hindu caste-reformers, Jat-Pat Todak Mandal, in Lahore. After reviewing the speech, conference organizers revoked Ambedkar’s invitation. He then self-published 1,500 copies of the speech and it became a classic. “Let me now turn to the Socialists. Can the Socialists ignore the problem arising out of the social order? The Socialists of India, following their fellows in Europe, are seeking to apply the economic interpretation of history to the facts of India. They propound that man is an economic creature, that his activities and aspirations are bound by economic facts, that property is the only source of power. They therefore preach that political and social reforms are but gigantic illusions, and that economic reform by equalization of property must have precedence over every other kind of reform. One may take issue with every one of these premises—on which rests the Socialists’ case for economic reform as having priority over every other kind of reform. One may contend that the economic motive is not the only motive by which man is actuated. That economic power is the only kind of power, no student of human society can accept. That the social status of an individual by itself often becomes a source of power and authority, is made clear by the sway which the Mahatmas have held over the common man. Why do millionaires in India obey penniless Sadhus and Fakirs? Why do millions of paupers in India sell their trifling trinkets which constitute their only wealth, and go to Benares and Mecca? That religion is the source of power is illustrated by the history of India, where the priest holds a sway over the common man often greater than that of the magistrate, and where everything, even such things as strikes and elections, so easily takes a religious turn and can so easily be given a religious twist. Take the case of the Plebians of Rome, as a further illustration of the power of religion over man. It throws great light on this point. The Plebians had fought for a share in the supreme executive under the Roman Republic, and had secured the appointment of a Plebian Consul elected by a separate electorate constituted by the Commitia Centuriata, which was an assembly of Plebians. They wanted a Consul of their own because they felt that the Patrician Consuls used to discriminate against the Plebians in carrying on the administration. They had apparently obtained a great gain, because under the Republican Constitution of Rome one Consul had the power of vetoing an act of the other Consul. But did they in fact gain anything? The answer to this question must be in the negative. The Plebians never could get a Plebian Consul who could be said to be a strong man, and who could act independently of the Patrician Consul. In the ordinary course of things the Plebians should have got a strong Plebian Consul, in view of the fact that his election was to be by a separate electorate of Plebians. The question is, why did they fail in getting a strong Plebian to officiate as their Consul? The answer to this question reveals the dominion which religion exercises over the minds of men. It was an accepted creed of the whole Roman populus that no official could enter upon the duties of his office unless the Oracle of Delphi declared that he was acceptable to the Goddess. The priests who were in charge of the temple of the Goddess of Delphi were all Patricians. Whenever therefore the Plebians elected a Consul who was known to be a strong party man and opposed to the Patricians—or ‘communal,’ to use the term that is current in India—the Oracle invariably declared that he was not acceptable to the Goddess. This is how the Plebians were cheated out of their rights. One can thus attack the doctrine of the Economic Interpretation of History adopted by the Socialists of India. But I recognize that the economic interpretation of history is not necessary for the validity of the Socialist contention that equalization of property is the only real reform and that it must precede everything else. However, what I would like to ask the Socialists is this: Can you have economic reform without first bringing about a reform of the social order? Now the question that I would like to ask is: Is it enough for a Socialist to say, ‘I believe in perfect equality in the treatment of the various classes?’ To say that such a belief is enough is to disclose a complete lack of understanding of what is involved in Socialism. If Socialism is a practical programme and is not merely an ideal, distant and far off, the question for a Socialist is not whether he believes in equality. The question for him is whether he minds one class ill-treating and suppressing another class as a matter of system, as a matter of principle—and thus allowing tyranny and oppression to continue to divide one class from another. Let me analyse the factors that are involved in the realization of Socialism, in order to explain fully my point. Now it is obvious that the economic reform contemplated by the Socialists cannot come about unless there is a revolution resulting in the seizure of power. That seizure of power must be by a proletariat. The first question I ask is: Will the proletariat of India combine to bring about this revolution? What will move men to such an action? It seems to me that, other things being equal, the only thing that will move one man to take such an action is the feeling that other men with whom he is acting are actuated by a feeling of equality and fraternity and—above all—of justice. Men will not join in a revolution for the equalization of property unless they know that after the revolution is achieved they will be treated equally, and that there will be no discrimination of caste and creed. The assurance of a Socialist leading the revolution that he does not believe in Caste, I am sure will not suffice. The assurance must be the assurance proceeding from a much deeper foundation—namely, the mental attitude of the compatriots towards one another in their spirit of personal equality and fraternity. Can it be said that the proletariat of India, poor as it is, recognises no distinctions except that of the rich and the poor? Can it be said that the poor in India recognize no such distinctions of caste or creed, high or low? If the fact is that they do, what unity of front can be expected from such a proletariat in its action against the rich? How can there be a revolution if the proletariat cannot present a united front? Suppose for the sake of argument that by some freak of fortune a revolution does take place and the Socialists come into power; will they not have to deal with the problems created by the particular social order prevalent in India? I can’t see how a Socialist State in India can function for a second without having to grapple with the problems created by the prejudices which make Indian people observe the distinctions of high and low, clean and unclean. If Socialists are not to be content with the mouthing of fine phrases, if the Socialists wish to make Socialism a definite reality, then they must recognize that the problem of social reform is fundamental, and that for them there is no escape from it. That the social order prevalent in India is a matter which a Socialist must deal with; that unless he does so he cannot achieve his revolution; and that if he does achieve it as a result of good fortune, he will have to grapple with the social order if he wishes to realize his ideal—is a proposition which in my opinion is incontrovertible. He will be compelled to take account of Caste after the revolution, if he does not take account of it before the revolution. The Book To Read: Sea Of Poppies by Amitav Ghosh. Sea of Poppies is a historical novel about 1830’s India, in the midst of blossoming of the opium trade. I’ve been reading a lot about the opium trade these last couple of months, particularly about Afghanistan (I also wrote about it a little), so Sea of Poppies served as my time machine, a ticket to 19th century opium trade. 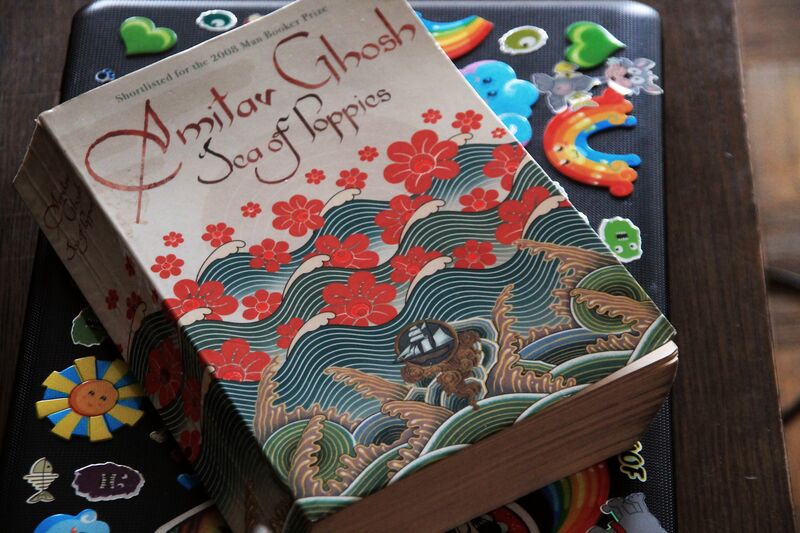 Although this is a novel, Amitav Ghosh did a remarkable amount of research to provide a credible portrayal of the period. That is, to me, the biggest achievement of this book. When they board Ibis, they must leave their history behind and became ship-brothers. In this story about colonialism, the characters are just as diverse as the British Empire itself, each with their own dialects and idiosyncracies. The language Ghosh uses is too old school and uptight for my taste but it is very much in spirit with the time described. Although dialects add to the authenticity of the voices of the characters, emphasizing dialects was distracting at times, almost a little annoying. That was one of my problems with the novel. Another problem is the overly black and white portrayal of some of the characters. The British are represented by Ghosh as unsymptathetic buffoons, which is understandable, taking in consideration the colonial context. Still, at times it is almost like a caricature. It could be intentional, of course, for they are not to be liked, but I think there were more subtle and nuanced ways of showing the cruelty and ignorance of colonizers. It could have provided a deeper criticism, and this way – I don’t feel like Ghosh says anything new (in relation to colonizers). Those were some of my issues with this novel, but I would still recommend it, for it offers a great historical insight into an interesting and very much defining period of time for India and for the opium trade. 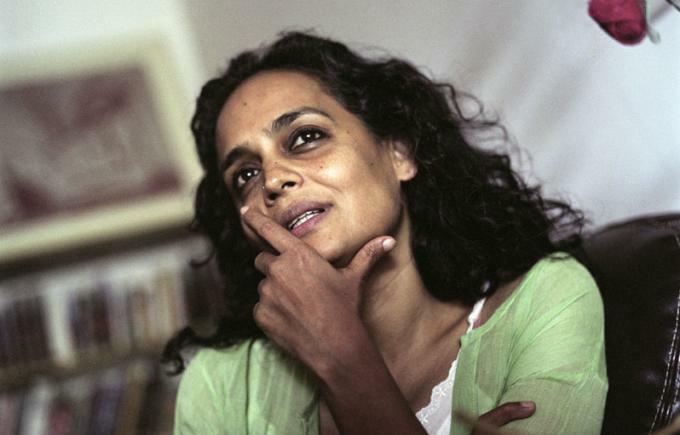 Arundhati Roy: There’s A Lot Of Money In Poverty. The following is an excerpt from Arundhati Roy’s great new book, Capitalism: A Ghost Story (Haymarket Books, 2014). “By the 1920s US capitalism had begun to look outward for raw materials and overseas markets. Foundations began to formulate the idea of global corporate governance. In 1924 the Rockefeller and Carnegie Foundations jointly created what is today the most powerful foreign policy pressure group in the world—the Council on Foreign Relations (CFR), which later came to be funded by the Ford Foundation as well. By 1947 the newly created CIA was supported by and working closely with the CFR. Over the years the CFR’s membership has included twenty-two US secretaries of state. There were five CFR members in the 1943 steering committee that planned the United Nations, and an $8.5 million grant from J. D. Rockefeller bought the land on which the United Nations’ New York headquarters stands. At Bretton Woods, the World Bank and IMF decided that the US dollar should be the reserve currency of the world, and that in order to enhance the penetration of global capital it would be necessary to universalize and standardize business practices in an open marketplace. It is toward that end that they spend a large amount of money promoting Good Governance (as long as they control the strings), the concept of the Rule of Law (provided they have a say in making the laws), and hundreds of anticorruption programs (to streamline the system they have put in place). Two of the most opaque, unaccountable organizations in the world go about demanding transparency and accountability from the governments of poorer countries. Given that the World Bank has more or less directed the economic policies of the Third World, coercing and cracking open the market of country after country for global finance, you could say that corporate philanthropy has turned out to be the most visionary business of all time. Corporate-endowed foundations administer, trade, and channel their power and place their chessmen on the chessboard through a system of elite clubs and think tanks, whose members overlap and move in and out through the revolving doors. Contrary to the various conspiracy theories in circulation, particularly among left-wing groups, there is nothing secret, satanic, or Freemason-like about this arrangement. It is not very different from the way corporations use shell companies and offshore accounts to transfer and administer their money—except that the currency is power, not money. The transnational equivalent of the CFR is the Trilateral Commission, set up in 1973 by David Rockefeller, the former US national security adviser Zbignew Brzezinski (founder-member of the Afghan mujahidin, forefathers of the Taliban), the Chase Manhattan Bank, and some other private eminences. Its purpose was to create an enduring bond of friendship and cooperation between the elites of North America, Europe, and Japan. It has now become a pentalateral commission, because it includes members from China and India (Tarun Das of the CII; N. R. Narayana Murthy, ex-CEO of Infosys; Jamsheyd N. Godrej, managing director of Godrej; Jamshed J. Irani, director of Tata Sons; and Gautam Thapar, CEO of Avantha Group). The Aspen Institute is an international club of local elites, businessmen, bureaucrats, and politicians, with franchises in several countries. Tarun Das is the president of the Aspen Institute, India. Gautam Thapar is chairman. Several senior officers of the McKinsey Global Institute (proposer of the Delhi Mumbai Industrial Corridor) are members of the CFR, the Trilateral Commission, and the Aspen Institute. The Ford Foundation (liberal foil to the more conservative Rockefeller Foundation, though the two work together constantly) was set up in 1936. Though it is often underplayed, the Ford Foundation has a very clear, well-defined ideology and works extremely closely with the US State Department. Its project of deepening democracy and ‘good governance’ is very much part of the Bretton Woods scheme of standardizing business practice and promoting efficiency in the free market. After the Second World War, when communists replaced fascists as the US Government’s Enemy Number One, new kinds of institutions were needed to deal with the Cold War. Ford funded RAND (Research and Development Corporation), a military think tank that began with weapons research for the US defense services. In 1952, to thwart ‘the persistent Communist effort to penetrate and disrupt free nations,’ it established the Fund for the Republic, which then morphed into the Center for the Study of Democratic Institutions, whose brief was to wage the Cold War intelligently, without McCarthyite excesses. It is through this lens that we need to view the work that the Ford Foundation is doing with the millions of dollars it has invested in India—its funding of artists, filmmakers, and activists, its generous endowment of university courses and scholarships. The Ford Foundation’s declared ‘goals for the future of mankind’ include interventions in grassroots political movements locally and internationally. In the United States it provided millions in grants and loans to support the credit union movement that was pioneered by the department store owner Edward Filene in 1919. Filene believed in creating a mass consumption society of consumer goods by giving workers affordable access to credit—a radical idea at the time. Actually, only half of a radical idea, because the other half of what Filene believed in was a more equitable distribution of national income. Capitalists seized on the first half of Filene’s suggestion and, by disbursing ‘affordable’ loans of tens of millions of dollars to working people, turned the US working class into people who are permanently in debt, running to catch up with their lifestyles. Jhumpa Lahiri: Hell-Heaven (Unaccustomed Earth). 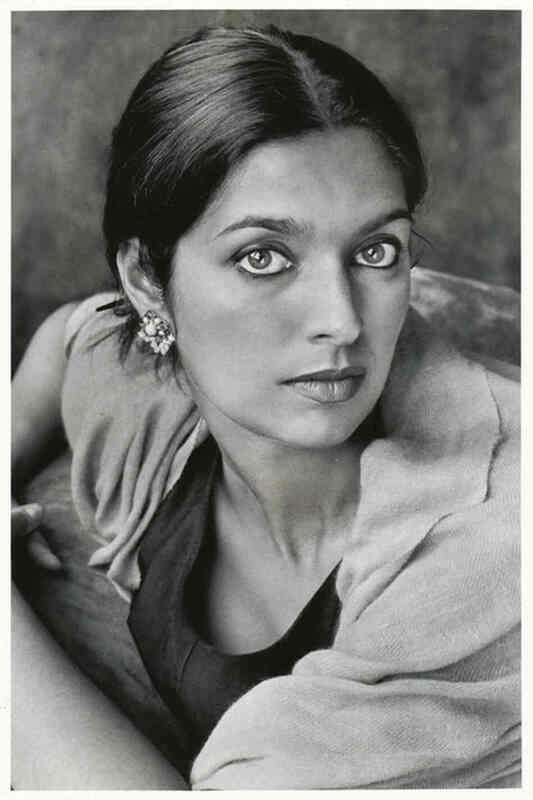 Jhumpa Lahiri has a great talent of writing genuinely, writing about everyday, writing about common, but still making it deeply revealing, interesting, and – finding wonders in it. The following is an excerpt from her short story Hell-Heaven (the story can be found in Lahiri’s collection of short stories Unaccustomed Earth). Here, once again, Lahiri deals with the experience of Indian immigrants in the USA, cutting through the delicate tissue of place and time, memory and identity. “He was from a wealthy family in Calcutta and had never had to do so much as pour himself a glass of water before moving to America, to study engineering at MIT. Life as a graduate student in Boston was a cruel shock, and in his first month he lost nearly twenty pounds. He had arrived in January, in the middle of a snowstorm, and at the end of the week he had packed his bags and gone to Logan, prepared to abandon the opportunity he’d worked toward all his life, only to change his mind at the last minute. He was living on Trowbridge Street in the home of a divorced woman with two young children who were always screaming and crying. He rented a room in the attic and was permitted to use the kitchen only at specified times of the day and instructed always to wipe down the stove with Windex and a sponge. My parents agreed that it was a terrible situation, and if they’d had a bedroom to spare they would have offered it to him. Instead, they welcomed him to our meals and opened up our apartment to him at any time, and soon it was there he went between classes and on his days off, always leaving some vestige of himself: a nearly finished pack of cigarettes, a newspaper, a piece of mail he had not bothered to open, a sweater he had taken off and forgotten in the course of his stay. I remember vividly the sound of his exuberant laughter and the sight of his lanky body slouched or sprawled on the dull, mismatched furniture that had come with our apartment. He had a striking face, with a high forehead and a thick mustache, and overgrown, untamed hair that my mother said made him look like American hippies who were everywhere in those days. His long legs jiggled rapidly up and down wherever he sat, and his elegant hands trembled when he held a cigarette between his fingers, tapping the ashes into a teacup that my mother began to set aside for this exclusive purpose. Though he was a scientist by training, there was nothing rigid or predictable or orderly about him. He always seemed to be starving, walking through the door and announcing that he hadn’t had lunch, and then he would eat ravenously, reaching behind my mother to steal cutlets as she was frying them . before she had a chance to set them properly on a plate with red onion salad. In private, my parents remarked that he was a brilliant student, a star at Jadavpur who had come to MIT with an impressive assistanship, but Pranab Kaku was cavallier about his classes, skipping them with frequency. ‘These Americans are learning equations I knew at Usha’s age’, he would complain. He was stunned that my second-grade teacher didn’t assign any homework and that at the age of seven I hadn’t yet been taught square roots or the concept of pi.